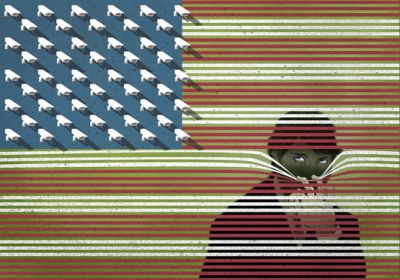 Senators Wyden and Udall – both on the Senate Intelligence Committee, with full access to information on the spying program – have said that for at least 2 years that the government was using a “secret interpretation” of the Patriot Act which would shock Americans, because it provides a breathtakingly wide program of spying. And see this. Wyden and Udall said that they couldn’t reveal to the public – or even other members of Congress who lack top security clearance – what the secret interpretation is … and that most Congress members were totally ignorant about it. The author of the Patriot Act and chairman on the House Judiciary Subcommittee on Crime, Terrorism, Homeland Security, and Investigations – Congressman Jim Sensenbrenner – says that the government has gone far beyond what the Patriot Act intended, and that the Act “was originally drafted to prevent data mining” on the scale that’s occurred. A top NSA whistleblower told us that the secret interpretation is that the government spies on everyone. In classified orders starting in the mid-2000s, the court accepted that “relevant” could be broadened to permit an entire database of records on millions of people, in contrast to a more conservative interpretation widely applied in criminal cases, in which only some of those records would likely be allowed, according to people familiar with the ruling. “Relevant” has long been a broad standard, but the way the court is interpreting it, to mean, in effect, “everything,” is new, says Mark Eckenwiler, a senior counsel at Perkins Coie LLP who, until December, was the Justice Department’s primary authority on federal criminal surveillance law. Two senators on the Intelligence Committee, Ron Wyden (D., Ore.) and Mark Udall (D., Colo.), have argued repeatedly that there was a “secret interpretation” of the Patriot Act. The senators’ offices tell the Journal that this new interpretation of the word “relevant” is what they meant. Interpreting “relevant” as meaning “everything” throws more than 200 years of American law on its head … plus a couple hundred additional years of British common law on which early American law was based. The most basic principle of evidence law is that only information actually relevant to the case can be admitted. Moreover, top national security experts say that pretending that “everything” is “relevant” means that intelligence agencies will be swamped with useless information … which will make them less able to prevent terrorist attacks. And the courts are providing no checks and balances on the spying program.